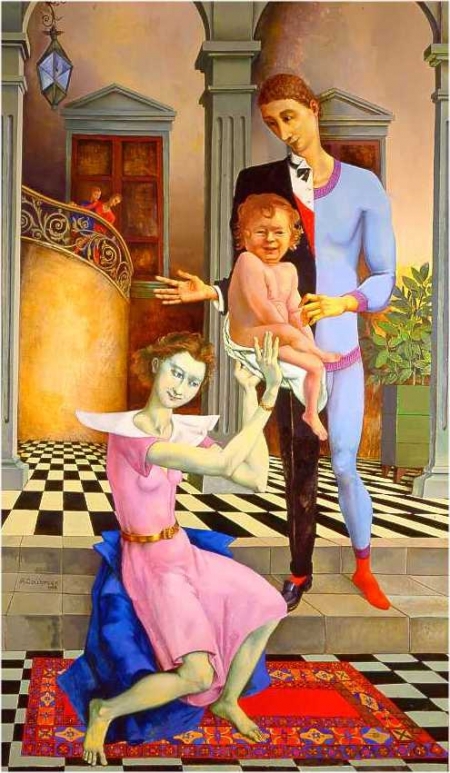 Alfred Courmes is an unclassifiable artists imagier perfectionist modern day [...] Long forgotten, performing multiple jobs, the return to figuration in the 70’s and several exhibitions relating to the realism put him back in favour. But nothing could alter the stubbornness of this atypical artist who reinterprets with fantasy, spontaneity and subversion topics of historical and mythological inspiration of the old masters of the Quattrocento which he worships, which is indicated by the "Saint Roch Montpellier ". 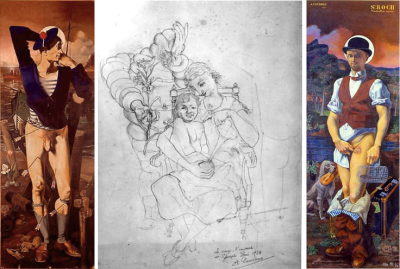 Unfinished screen sheet which should include two elements: "Saint Sebastian" (link to article) (MNAM, Centre Georges Pompidou, Paris) and a "Holy Family" never completed; his "Saint Roch" drafted in 1936 and completed in 1977, retains the traditional attributes of the patron saint of plague victims, although Courmes does not hesitate to undermine the iconography, always pointing a devastating irony and a rebellious spirit distinguished his approach. "Philippe Bouchet, Pocket Guide, Museum of the Hospice Saint-Roch in Issoudun, p 56-57, 2007. "I tried, receiving a lesson from Roger de La Fresnaye, to work on sustainable compositions, to paint history, to insist on my easel painting, working flat, two-dimensional, in the sense of a hierarchy that establishes between the painters, to the more difficult, as noted, that in the trade is designated by “ the art of painting history”. Why? 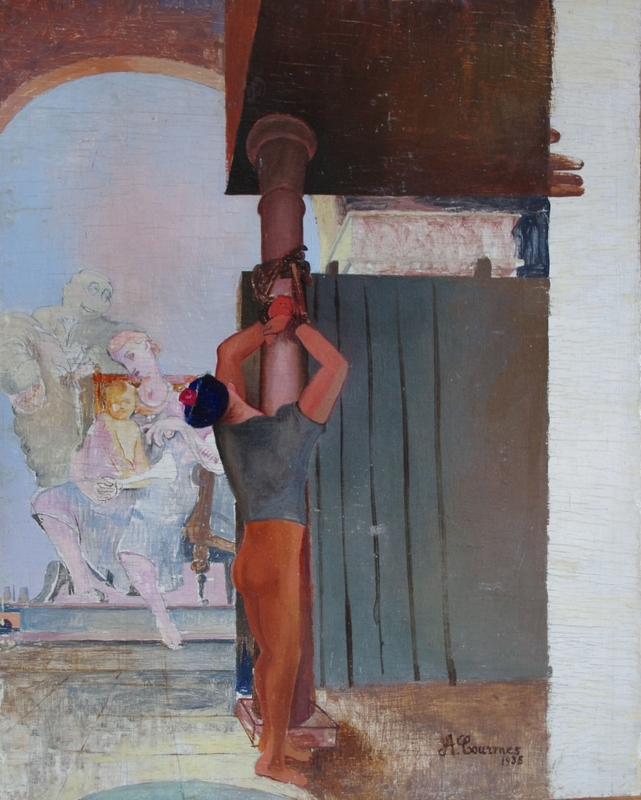 Because, above all, we must paint the human nature in its human context, in its landscapes, in its factories, ie in its architecture, its costumes, its environment ... this is what I see as the craft of painting, in its complexity and all its implications for the human condition. " 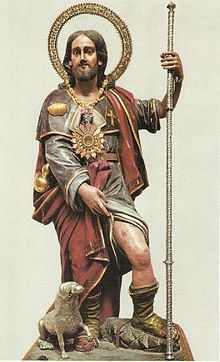 Although St. Roch was between the late Middle Ages and the nineteenth century, one of the most venerated saints in the Catholic world, we must recognize that we do not know much accurate facts about him. Ancient sources that speak of him are indeed not very explicit, especially on the timeline, and the few concrete datas known are obscured by the addition of countless episodes more or less legendary. 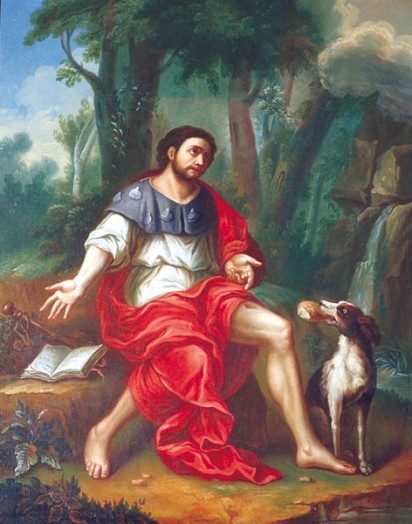 Saint Roch (1295-1327) was the son of a governor of Montpellier; his pious parents, already advanced in age, obtained his birth by their persevering prayer, promising to give God the child He would grant them. This miracle child was born with a red cross on the chest, guaranteeing a special predestination. From the age of five he began to chastise her little body to hardship; he distinguished himself, growing up, by a special hospitality towards the poor and the travellers. It was not twenty years old when he had the pain of losing successively his father and mother. He immediately sold his properties, became poor of the Christ, after the example of St. Francis of Assisi, entered the Third Order, and dressed as a pilgrim, he took the road to Rome, asking for alms. The plague raged in Italy on his way; he devoted himself to caring for the poor lepers; passing their beds, he took their hands, made them make the sign of the Cross, and they rose all healed. 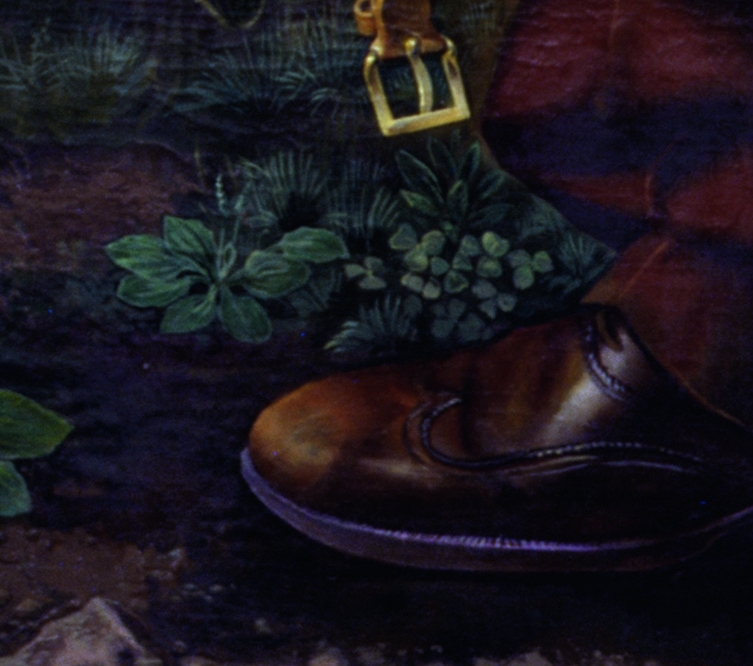 In Rome, the miracles multiplied under his feet; he lived three years whithout making known his name and origin, even to the Pope. Returning to his country, he was seized by plague and retired dying in a shack on the edge of a forest, where a dog brought him every day a bun. 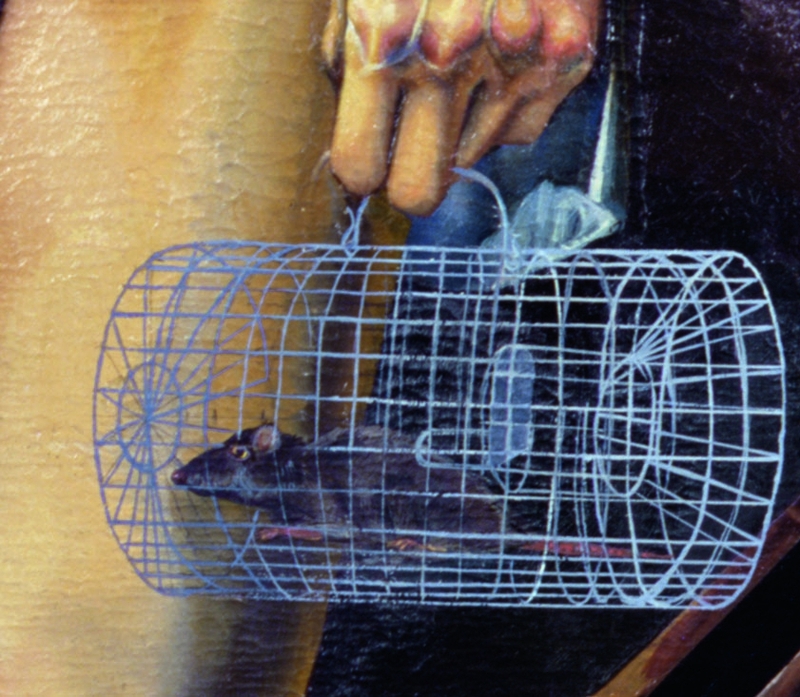 Cured by the intervention of Heaven, he reappeared in Montpellier as a stranger, unrecognized by the governor, his uncle, and thrown into prison as a spy; then, after five years, he died lying on the ground, after having been provided the sacraments. He was then recognized by the red cross marked on his chest. His funeral was a triumph. 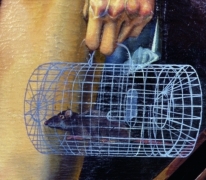 His cult became and remains popular throughout the Church. 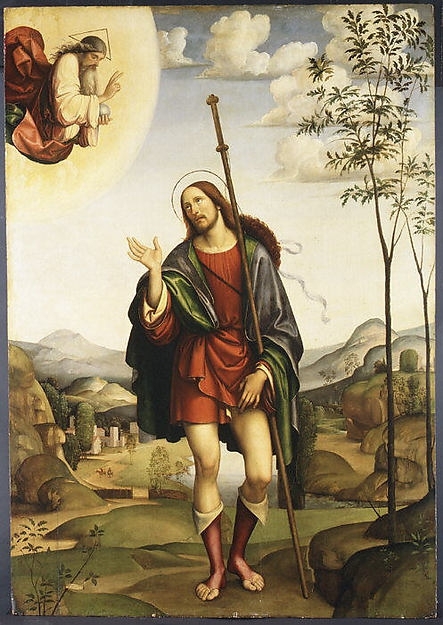 To comment on two people inseparable: "Saint Roch and his dog." 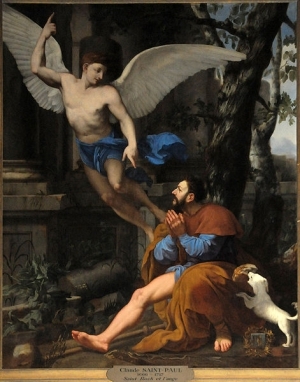 or: "Who likes Saint Roch, loves his dog. " To comment on two people always follow each other: "Who sees Saint Roch, soon sees his dog." To comment on two people unkempt, "as St. Roch combed." "The Saint-Roch announces the autumn weather. " "At the Saint-Roch, hazelnuts are eaten. " "At the Saint-Roch, great heat prepares colored wine. " For laborers: "After the Saint-Roch, sharpens your share and prepare your working shoes " because it is time for peasants to prepare for plowing autumn sowing. If it rains on St. Roch truffles will grow on rocks. You can buy and provide the reproduction of "Saint Roch" and "Saint Sebastian" on the website "The shop of Alfred"
These reproductions are available either on paper 190g or 310g art paper or on canvas stretched on a frame to the actual size of the painting, in limited edition. They are labeled Digigraphie® and edited in France.You will find on this site many other reproductions of works of Alfred Courmes if you wish.